Unique Moments Photography of Gig Harbor Washington captured this wedding at the Hollywood school house in Woodinville Washington. This was a fun 1930's gangster styled wedding. What can you say. Images are a blast to capture, everyone enjoys having the pictures taken, images always look great in the album. 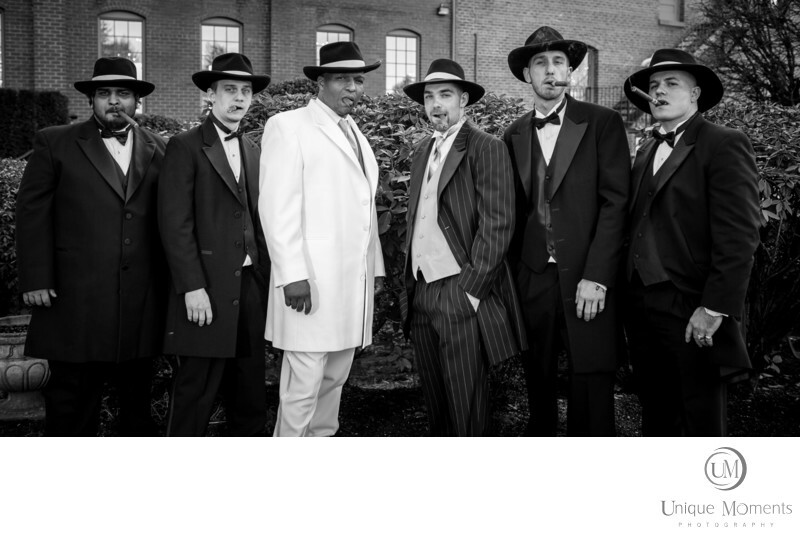 Everything about these gangster themed weddings are a blast to be part of. Its definitely something to consider and much fun for everyone involved. Loved the Cubans. Location: 14810 NE 145th St, Woodinville, WA 98072 (425) 481-7925.